Rose Rita Truempi or is this Marie? At her Uncle Joe and Aunt Vernie's house, Hokah, Mn. This is Rose Truempi, born 1942. 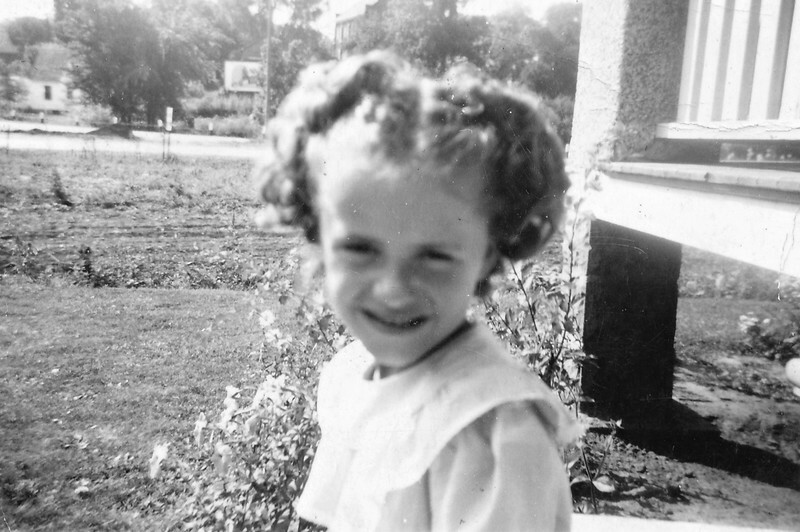 Photo taken at her Aunt's house (Vernie Tschumper Von Arx). Sitting porch to the right. St. Peter's Church and school in far background (right), partially hidden behind trees.